Dark Days: The Forge #1 is a glorified zero issue that lays major groundwork for the upcoming Metal event that will be impacting nearly all DC comics this upcoming summer. Much is revealed in this issue that will have many fans asking some major questions. The issue, however, is if you are not very familiar with DC lore prior to The New 52 you may be left confused by nearly everything this is showcased in this book. Clearly, something major is going on and this is the very beginning. For some it may be a better choice just to wait until it gets fully started. 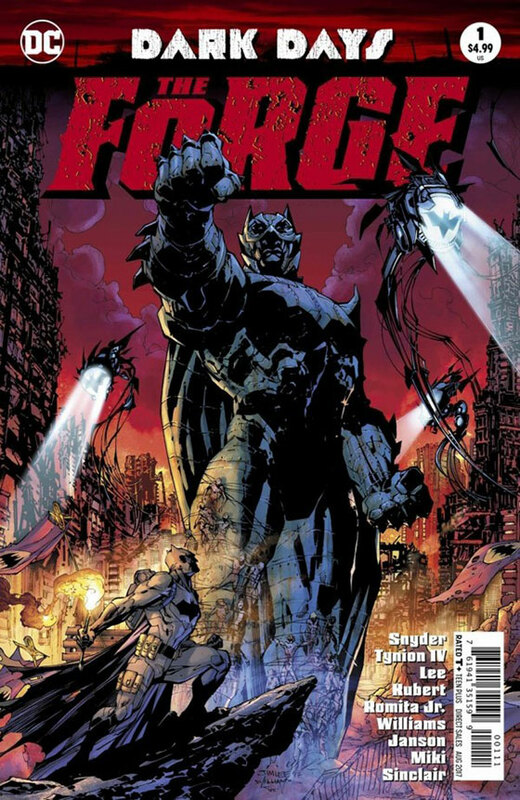 Dark Days: The Forge #1 is made up of a series of short stories that give a small glimpse and hint of what is to come. Much of that mystery is surrounding the properties of Nth metal and how its impact on the universe is much more far reaching that initially understood. Batman has apparently been searching for answers to this mysterious unbeknownst to his closest allies. He has gotten too close to answers causing forces to unite and strike back against him.